Last weekend we had a lovely weekend in Wales, breaking from tradition we stayed in Porthmadog rather than Harlech which made a nice change. Whenever we go to Wales we take a trip on the Ffestiniog Railway and usually start from Ffestiniog but as we were staying in Porthmadog it made more sense to walk to the station and do our trip in reverse! 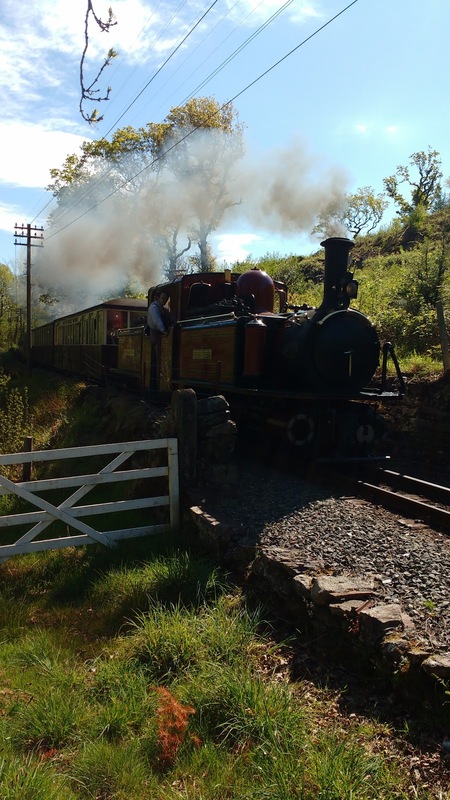 The Ffestiniog Railway is the world's oldest narrow gauge railway with almost 200 years of history. 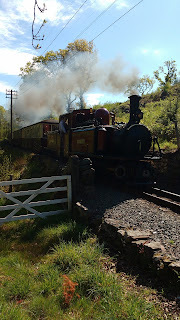 The trip is 13½-mile long starting from the harbour in Porthmadog to the slate-quarrying town of Blaenau Ffestiniog. We first took the boys on the train when Luke was about 2 and we have been almost every year since. 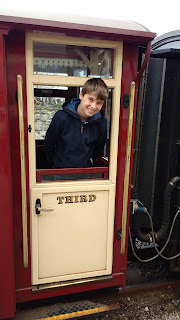 I did wonder whether the boys would be fed up of doing the same journey but they both agreed it was now a family tradition and they love going on the train. Usually we sit in one of the open carriages so we can enjoy the scenery however there were no open carriages on the train. We asked one of the staff who said they only use the open carriages in the summer when the weather is better so we had to make do with a normal carriage. Another part of our tradition is that we buy a sandwich from Jessie's sandwich shop and then eat it in the park before catching the train back to Ffestiniog. Originally we thought we would buy them on the way to the station and then eat them in Ffestionog but when we looked at the timetable there was either a 15 minutes stop there or a couple of hours. 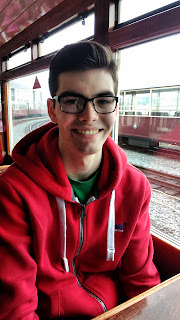 We decided to take the earlier train which brought us back to Porthmadog at 12.45 so we bought the sandwiches on the way back which was much easier and meant we didn't need to take a box to put them in on the journey. We had a lovely time and will be back again next year!